In this third part of three, WatchPro walks you through 2019 novelties from Rado to Zenith. 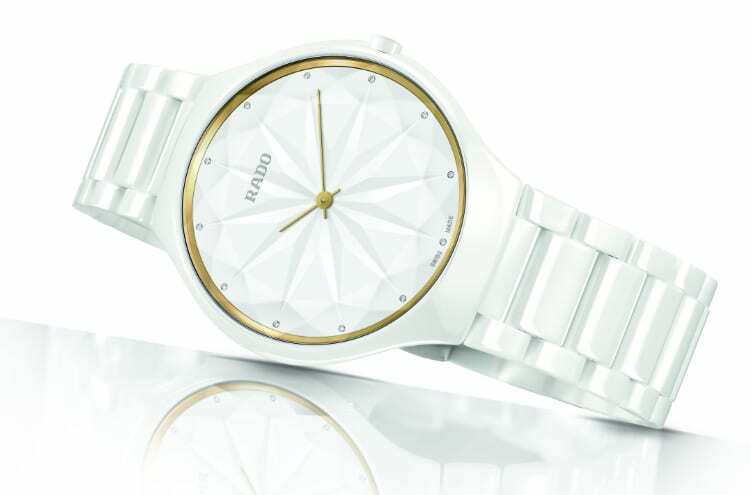 Spanish designer Inma Bermudez has worked with Rado to produce her studio’s first ever wristwatch, the True Thinline Gem. Ms Bermudez is best known for her flare with domestic items such as lighting, kitchenware and textiles, but she accepted the challenge of creating a watch based on twisting a classic jewellery design. Starting with a classic Rado pure white ceramic case, she used a faceted sapphire crystal cut to look like an enormous diamond protecting a textured relief dial that appears more like the porcelain with which she more commonly works. The 5mm thin but highly durable watch has 12 tiny diamonds at the outer edges of the dial as well as subtle gold color detailing. Reservoir, one of the breakthrough stars of last year’s Baselworld, is expanding its Longbridge family of watches with a rose gold version and a night sky blue model in a palladium case. The French watchmaker specialises in watches designed to look like measuring instruments. In the case of the Longbridge collection, they borrow their look from the dashboard speedometer of a 1960s Mini made at Birmingham’s Longbridge plant. The time is displayed using a large retrograde minute hand and a jumping hour at 6 o’clock. The 41.5mm watches house modified and patented self-winding mechanical movements based on the ETA 2824-2. The Longbridge Club Rose Gold edition is priced at €14,800 while the blue-dialed Longbridge Nightfall costs €16,300. Original steel models sell for €3,750. Sony is bringing its WENA range of smart connected watch bands and bracelets to markets outside Japan. The name, which is an acronym of Wear Electronics Naturally, was born back in 2015 when an engineer in Sony’s Japanese campus won an internal competition for investment and mentoring into new technology. The concept was to come up with a leather strap, silicon band or steel bracelet that could fit with most watches and convert them instantly to connected smartwatches without compromising their intrinsic designs. They can be bought standalone, and will connect to any watch head with an 18mm, 20mm or 22mm pinned lugs, or Sony has a range of its own watch heads, including mechanical pieces for the equivalent of £450 or quartz for £100. 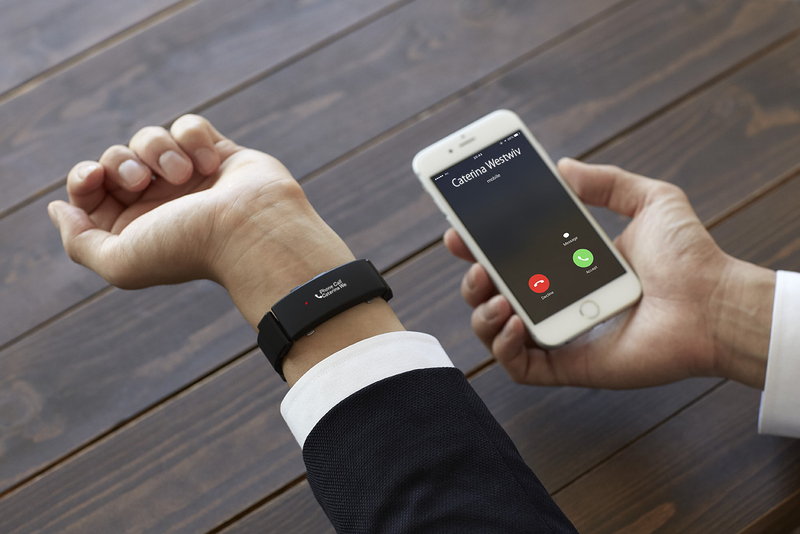 The WENA technology is housed in the clasp side and has a tiny OLED screen showing notifications from a connected smartphone about step counts, heart rate and messages. It also has secure contactless payments and GPS tracking functionality. Two models available are a steel bracelet priced at £399 and a black silicon band costing £349. German watchmaker Stowa, best known for its flieger pilot watches, has produced a classic model for 2019 in the form of its Partitio Small Second. 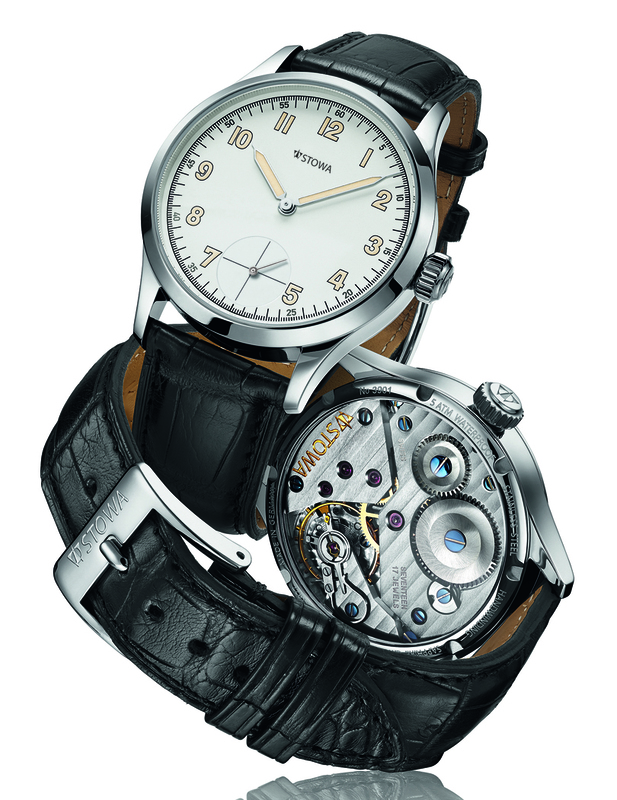 The 41mm steel-cased watch uses a Unitas 6498 movement behind a white painted dial with skeletonised hands. It will be available from this summer priced at €1280. The design comes from a 1938 piece made in Pforzheim, Germany. It combines a simple design using a straightforward font with the practical night readability by using luminous color on numbers and hands. It is no longer news that the sub-$500 price point for watches is as tough as it gets, with sales declining by double-digit percentages since peaking in 2014. 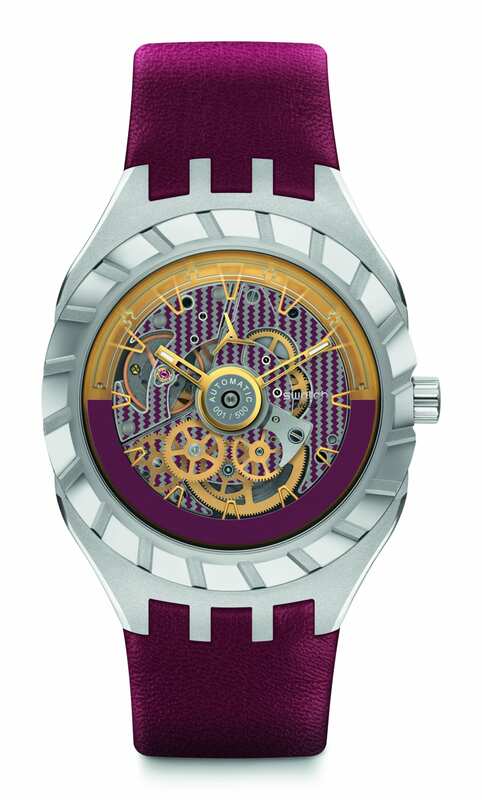 Swatch, which virtually created the fashion watch category in the 1980s with its brightly colored plastic pieces, has reacted by creating an all-new mechanically-driven watch costing over $1000. The collection, known as Flymagic, has a mechanical movement that shows how the watch works from the dial side rather than from underneath. 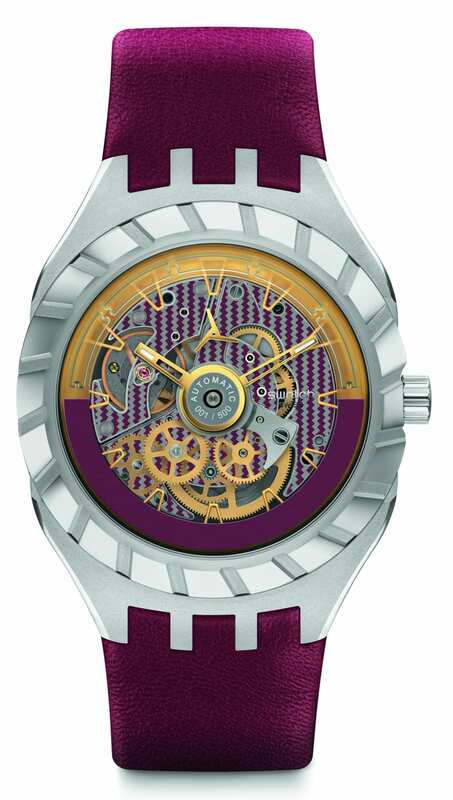 It is not so much a skeletonised dial that shows parts of the inner workings, but a watch with its movement flipped face-up, exposing its balance wheel and gear train. Watch geeks will be most excited that the Flymagic uses a new paramagnetic Nivachron hairspring, which can also be seen through the automatic movement’s transparent rotor. It is made from a titanium alloy that is less affected by magnetic fields, and therefore keeps time better. It is also more resistant to changes in temperature shocks. The upended movement is responsible for another unique quirk: its second hand runs backwards. The Swatch Flymagic launches in three 45mm steel models, each limited to 500 pieces. They are sold on silicon or leather straps. 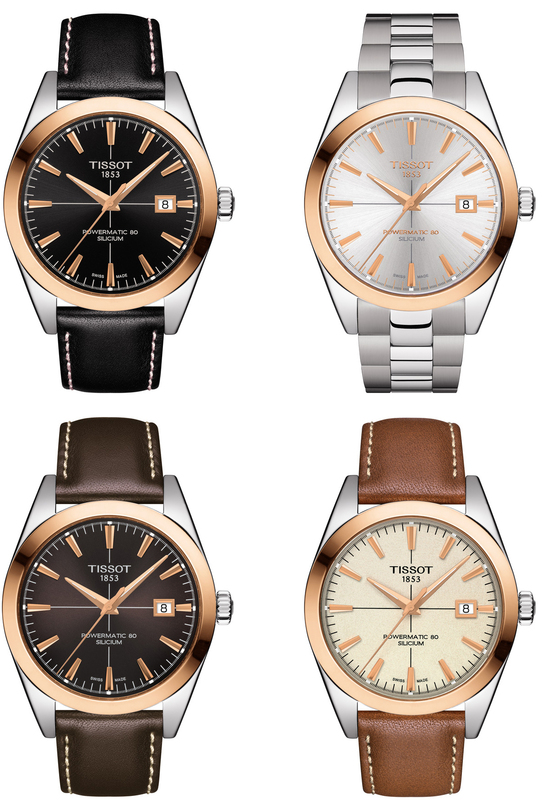 The Tissot Gentleman is getting a makeover in 2019, with the brand targeting an elegant, sophisticated yet understated man. A family of 40mm automatic watches in steel cases with 18ct gold bezels will be unveiled that Tissot says will be just as at home in the board room and the sports field. Priced at only £995 to £1045, the collection delivers a lot of watchmaking expertise in an affordable package that includes Powermatic 80 (ETA C07.811) movements with silicon balance springs. 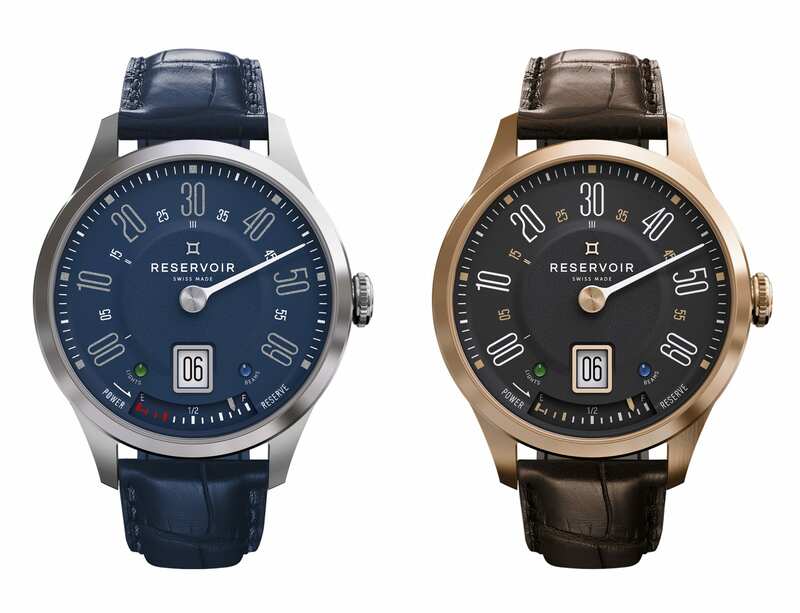 Dials are available in black, cream opaline, chocolate or silver with pink gold appllique hour markets. They go on sale in May or June. 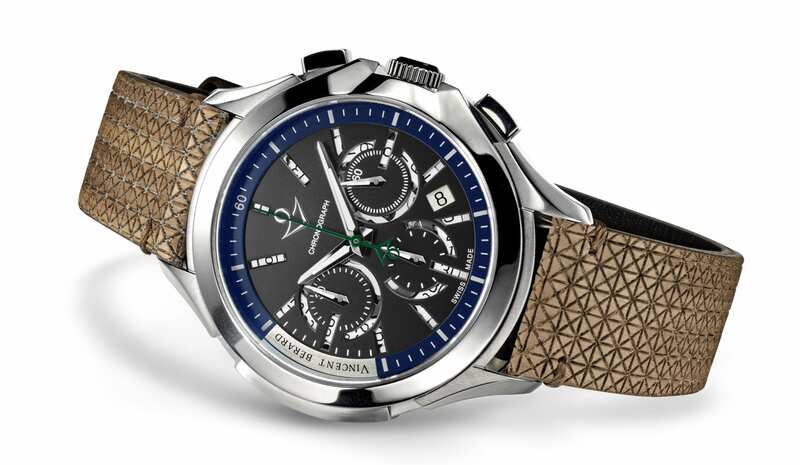 Timex Group acquired luxury Swiss watchmaker Vincent Bérard in 2016 and this year will release a watch with an ecological message under the maker’s name. The green story comes in the form of a forest green rotor, visible from the see-through case back, and by a green second hand. Interchangeable straps are made from recycled plastic bottles, vintage vegetable tanned leather or Nuo wood, a patented material made from thin wood micro laser etched sheets. A tree will be planted somewhere in the world with every watch that is sold. Vincent Bérard watches will be available in selected stores and online from September 2019. 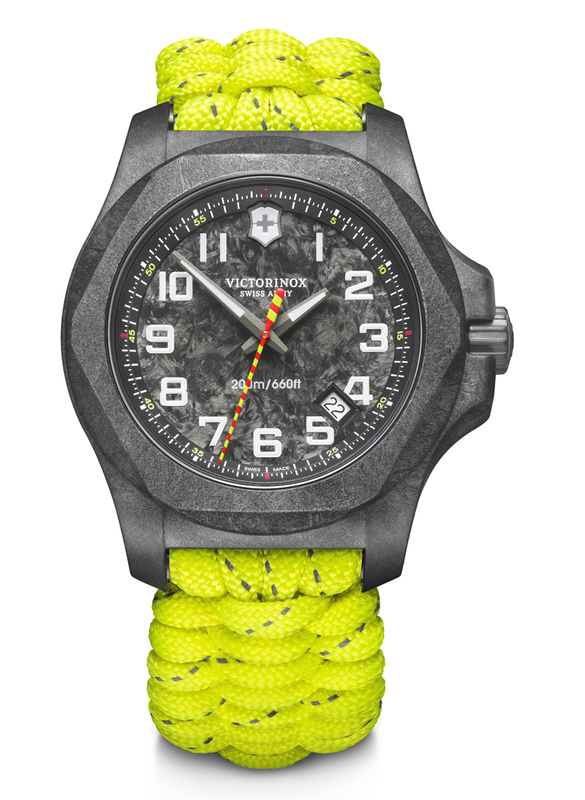 Victorinox is combining its love of adventure with respect for professional firefighters in the first watch it has unveiled ahead of Baselworld. The I.N.OX. Carbon Limited Edition family has a striking addition that adopts the yellow and red colour combination used almost universally by firefighters around the world. Like these brave first responders, the watch is designed for resistance and high visibility. It has a handwoven paracord strap and comes with a matching keyring and Swiss Army Knife Rescue Tool. There is also an interchangeable black watch strap made of firefighter boot leather, and a black bumper that protects the dial. “At its core, the watch is a clever fusion of durable materials, reliability and Swiss quality,” Victorinox says. “The I.N.O.X. Carbon Limited Edition Collection is a true tribute to the firefighting spirit of active men who fearlessly set their sights high,” the company adds. 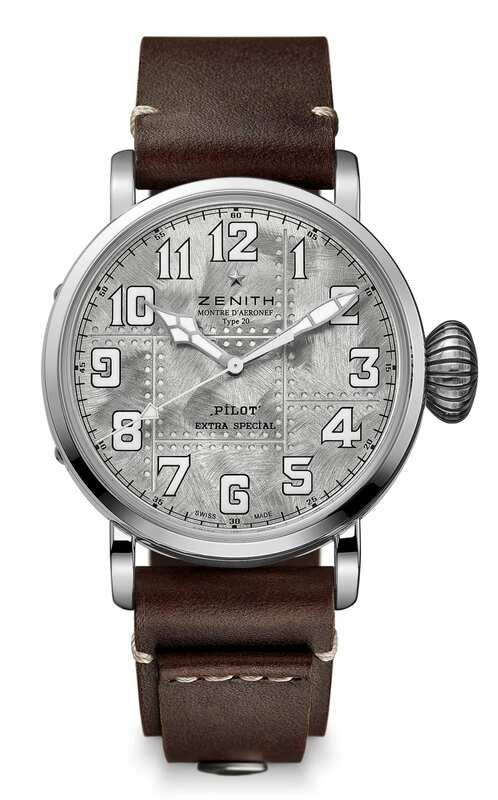 Zenith will start producing its Pilot Type 20 in a silver case this year in a 250 piece limited edition designed to remind customers of the brand’s historic association with the aeronautical industry and earliest days of flight when it made instruments for aircraft makers. The 45mm watch is inscribed on its back with the Zenith flying instruments logo in tribute to its origins. It has a brushed silver riveted dial with large hour-markers and oversized faceted luminescent hours, minutes and seconds hands powered by Zenith’s automatic Elite 679 caliber that will keep running unwound for up to 50 hours.